Using the HumiSys HF as part of an advanced capillary porometer or envelope surface area analyzer, please follow this link. Generator and the test chamber, port sizes, etc., are helpful. carrying out measurements at precisely controlled RH conditions. 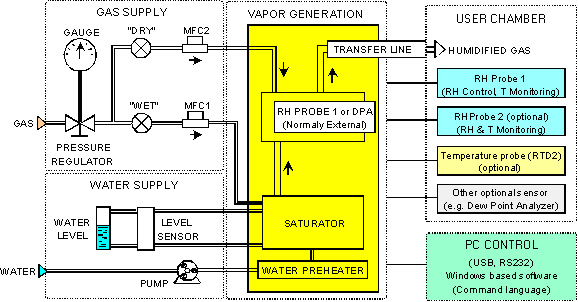 Several modes of RH control are available depending on selection and location of sensors. 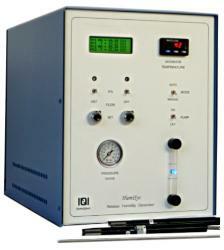 Mass flow controllers (MFC) are used for fast response. 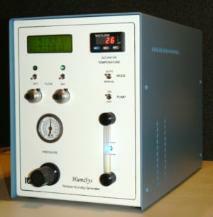 one RH probe is used for RH control and is usually placed inside the user chamber. by the (optional) temperature probe (RTD based). -Models for higher pressure e.g. 20 psig are available. -Windows based software for experiment design and control. stream of low relative humidity. Custom RH requirements can be easily adopted. 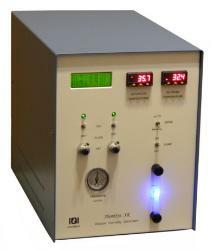 needed then in the HumiSys LF (Low Flow) or V-Gen RH Generators. utilized for dilution of the stream.